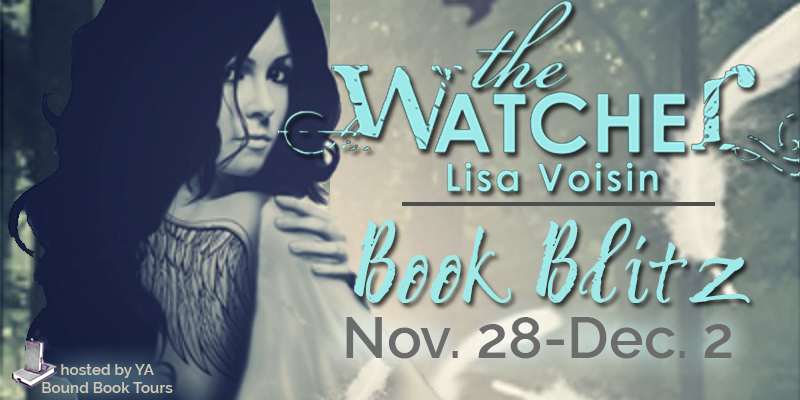 Bittersweet Enchantment: Book Blitz: The Watcher by Lisa Voisin | Book Excerpt + Author Interview + Giveaway! Book Blitz: The Watcher by Lisa Voisin | Book Excerpt + Author Interview + Giveaway! 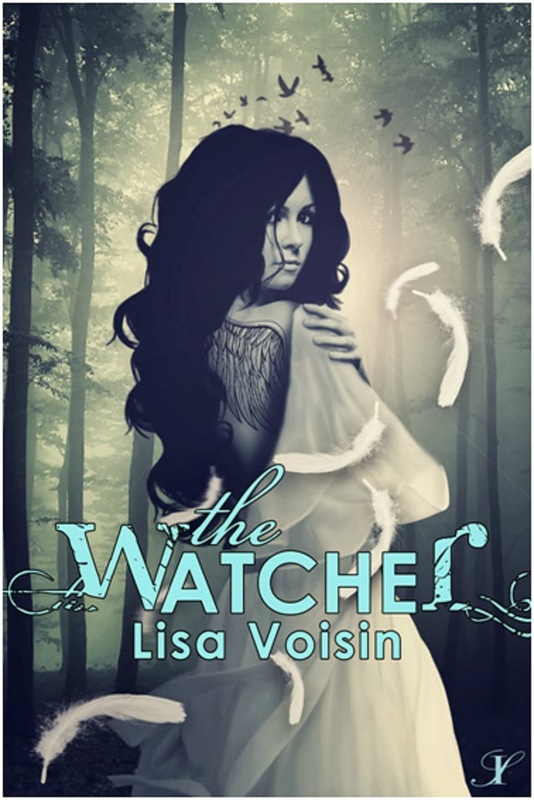 "Voisin's THE WATCHER blends paranormal mystery and romance into a book that is sure to keep readers turning the pages late into the night." "Perfect for fans of angels and demons, Lisa Voisin has created an uplifting tale of redemption, love, and spirituality that gives hope. Never preachy, THE WATCHER is the perfect answer to critics who claim Young Adult literature is too dark." "The Watcher is stunning! A paranormal romance that you won't want to put down. Voisin will enthrall you until the very last page." "Grips the reader, pulls them in and leaves them cheering for good!" He pulled the car over to the side of the road and parked it. A heavy silence grew between us. The rain thrummed against the roof of his car and my heart stuttered anxiously against my ribs, like a hummingbird flapping its tiny wings. My heart stopped, and I blinked at him as heat filled my face. He hadn’t misled me. The feelings I had for him were one hundred percent my own doing. I should have known better. What did he mean, the way I wanted him to be? Any way I could be with him would be fine. Anything was better than not speaking at all. And then the pieces came together: gorgeous and unavailable. He had a girlfriend. Oh God! Why hadn’t I seen the signs before? He didn’t flirt with anyone because he was in love with someone else. Not caring about the rain, I opened the door and dashed out of the car. Michael caught up with me and grabbed my arm. I pulled it away. “Come on,” he said, “don’t be foolish. You’ll catch a cold.” A wet strand of hair clung to my face. He brushed it aside, so gently, and a deep current trembled through me, compelling me toward him. It was all I could do to hold my ground. His eyes widened and he stepped back. In that moment, I knew he felt it too. I glared at him. How dare he touch me? Why did he care? Why did he pay attention to me at all? Taken. I know. I shook my head, not wanting to hear any more, and there was this look he gave me, a mixture of pain and something else—something forbidden—that made me want to kiss the rain from his lips. 1. What’s your favorite novel and why? I had so many favorite novels, but the one I’ve loved the longest is Good Omens by Terry Pratchett and Neil Gaiman. It’s about an apocalypse gone wrong, and it was the first time I’d read a book with an angel and a demon in it. I was hooked! I love Neil Gaiman’s dark sense of foreboding and Terry Pratchett’s humor! 2. How did the idea for The Watcher come about? I started working on The Watcher in 2009, but the story started in my mind three years before that. I had an idea about a boy who woke up one day to discover he was an angel. It wasn’t until the idea of Mia came to me that it all came together. I felt it was best to pair him with a human girl who was the only one who could see who he really was. 3. Which of your characters is your favorite and why? Michael is my favorite character, because he's been with me the longest. But I have to admit, Damiel was the most fun to write. It made me think of famous actors who say they have the most fun playing villains. 4. If you were in The Watcher, which character would you want to be? Arielle. She’s really got a good head on her shoulders and a good heart. She’s also pretty kickass. 5. If your book was made into a movie who would you envision in the leading roles? 6. Are any books that you've read and thought "I wish I'd written that"? Oh! There have been so many it's hard to count! Most recently, I'd have to say The Fault in Our Stars, because it was amazing. I also adored Neil Gaiman’s The Ocean at the End of the Lane. 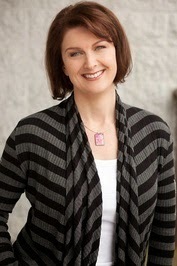 A Canadian-born author, Lisa Voisin spent her childhood daydreaming and making up stories, but it was her love of reading and writing in her teens that drew her to Young Adult fiction. In her spare time, she teaches meditation. So when she's not writing, you'll find her meditating or hiking in the mountains to counter the side effects of drinking too much coffee. She lives in Vancouver, B.C. with her fiance and their two cats. this sounds awesome! Congrats to Lisa on the new release and thanks for sharing! Your welcome - Good luck! The excerpt drew me in. 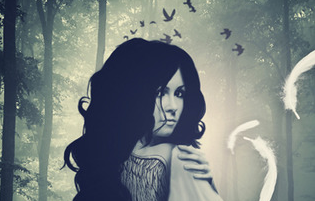 I like paranormal romances.